Str N Gaming brings you an exclusive interview with Mr. Hayden Cacace one of the founders of Heartonomy, an up and coming indie game company based in New York, NY. Heartonomy’s first game StarLicker has just released today on the app store for iOS platforms, you can download it here and learn more about the game here – http://starlickergame.com/. Heartonomy has definitely found strength in gaming! Samson: What made you want to start Heartonomy? Hayden: It really started back when I was still a child in the early 90s and learned it was possible to make my own games using QBASIC, a programming environment that came preloaded on the early, DOS-based versions of Windows. As I grew up I became more of a gamer and learned as much as I could about game development. Then early last year I finally decided the time was right to start a game company. The hardware power and platform accessibility has improved dramatically in the past few years, and there has been a surge in the quality of games developed independently by very small teams. But I still feel like there is a lot of room to expand the types of games that come out of the indie game development. For example, many indie games seem to center on a particular emotional or narrative idea that the designer creates deliberately for the player to experience. And this is great, these are often very compelling experiences that are truly new to the gaming medium. But what interests me most about gaming is the actual act of playing, that is deciding which actions to take in a game that lead to a favorable outcome. I think this is more interesting because allows players to create different experiences for themselves and each other. Hayden: I knew from the beginning of the project that it was going to be an asynchronous multiplayer game. Asynchronous turn based games are what made me appreciate mobile gaming after I got an iPhone a few years ago. To me, this format is new way to present deep strategic games that don’t demand as much of a time commitment as these types of games normally do since you can play on your own schedule. Something I’ve definitely found as I’ve gotten older is that it really is true that adults don’t have the same amount of time for gaming that we did as kids. The reason we chose iOS is just because most of the people who I knew who played mobile games, myself included, did it on iPhones, and because the iPad is still the most dominant tablet out there. Samson: Any plans on releasing for Android platforms? Hayden: Yes, it’s something we really want to do. 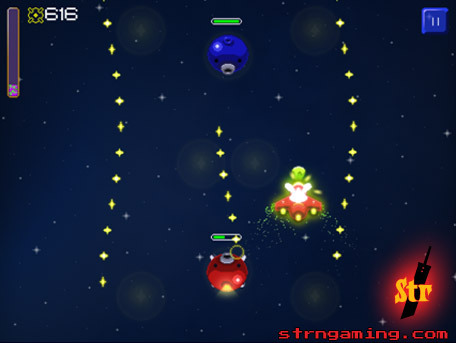 We are planning to start working on an Android version as soon as we can, after StarLicker is released for iOS. The timing is largely going to depend on how the game does financially for us, since we don’t really have the budget left over to dive into doing a port right away. If things go well, we also want to eventually bring the game to PC and consoles as well. Samson: Could you give us a summary of your personal gaming history? I started playing videogames when I was around 4 on the NES. For a while I was really into 2D platformers like Mario and Sonic. My favorites were Super Mario World and Sonic 3 & Knuckles and I also always really loved Bubble Bobble. I continued sticking mostly to console and handheld gaming from then through college, occassionally dabbling in some PC gaming (Myst, WarCraft II and StarCraft really stand out in my memory). Around 2008, I was getting really tired of the AAA single player console stuff and I started to feel like gaming as a whole was going nowhere interesting. Then, on a whim, my roommate and I decided to install WarCraft III on our computers to play some 1v1 for old times sake. Then, since we had it installed, we got it in our heads to try DotA since I’d heard a lot about the game but never actually tried it. After a week or two, I was completely hooked. I couldn’t remember the last time I had been so enchanted by a game based purely on the gameplay alone. Then when I got into the League of Legends beta I started playing that, and then I got into the StarCraft II beta and became obsessed. Still to this day I am in awe at the beauty of a long SC match unfolding between two very high level players. Samson: Does your love of StarCraft have any bearing on the creation of StarLicker? Hayden: Yes, a huge amount. 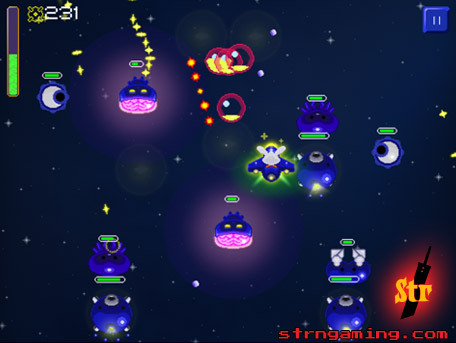 I mentioned before that StarLicker began as an asynchronous multiplayer game. The full story is that I wanted to make a game that embodied some of the same high level gameplay concepts as StarCraft, something StarCraft players would appreciate, but as an async mobile game. Some examples of the high level concepts I’m talking about are things like economic position being a big part of strategy, “all-in” and rush moves that are cheesy but effective if the opponent isn’t prepared to deal with it, and diversity of build orders tied together by a metagame. But I didn’t want to just make an async version of SC, so there is a lot of experimental game design here too that plays with these concepts and presents them in different ways that are not immediately recognizable as inspired by SC on the surface. 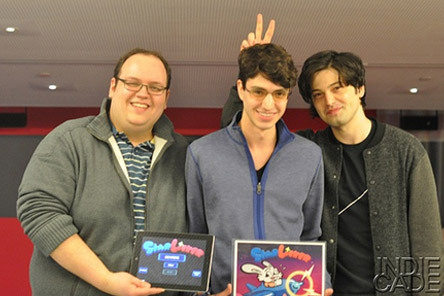 Samson: Are there any plans for future games beyond StarLicker? Hayden: Of course we’d like to keep making games independently as long as we can, but it’s very challenging. 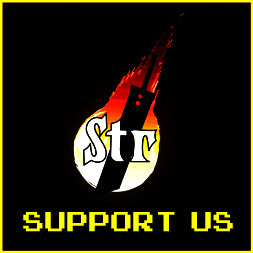 StarLicker was entirely self-funded and it has put a serious strain on our financial situation. We aren’t going to be able to self-fund another game right away. Heartonomy will probably re-release a little iOS puzzle game Kurt and I made in 2010 called TileWild, but beyond that there are no concrete plans for future games yet. Samson: Give us a quick rundown of StarLicker. 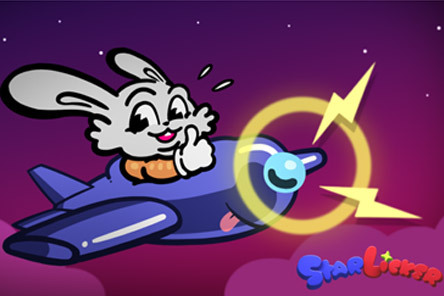 Hayden: StarLicker is a two-player strategy game that takes place in space between two neighboring planets inhabited by technologically advanced bunnies. The planets are at war over control of cosmic energy that emanates from special points in space. Players take turns defending against each other’s offensive bullet patterns that they build on each turn by placing units in a formation of their own design. The units are giant cybernetic monsters, and each unit has a unique function in the way it affects a stream of bullets, either by changing the pattern or properties of bullets that pass through it. There are 8 different units in the game, each with 4 “special powers” that you unlock and choose one per unit at the start of a match. 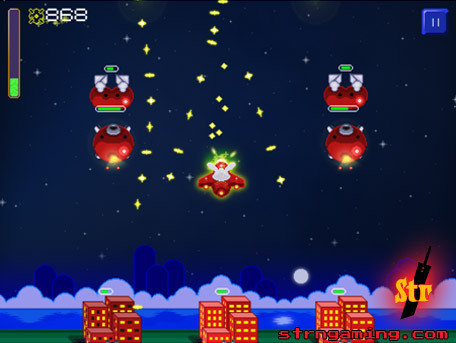 Defending against a bullet pattern plays like an inverted bullet hell game where the goal is to absorb as many bullets as possible until the attack ends. The bullets you collect becomes energy you use to buy more units. Samson: The animal kingdom is abundant with mighty and vicious species. Why did Lenny the bunny get the winning role? Hayden: Our artist Will was the driving force behind the character designs, so I asked him this question. He said its funny to have a highly evolved alien race be humanoid animals. It’s like Howard The Duck. Bunnies were easier to animate as low resolution sprites because the big ears are iconic. I liked the idea of having animal characters because it reminded me of games like Sonic and Starfox. StarLicker is full of subtle little references like this to other games we like. Samson: I have to ask, PS4 or XboxOne? I got a chance to be a part of the beta testing crew and it has been a blast, and what I feel will be mobile gaming history! I am openly not a fan of Apple products, but this game got me to use an iPad and I had a ton of fun that, is saying something! Stay tuned for Str N Gaming’s review of StarLicker! Download it FREE today! Very Cool. I am downloading SL today! !